Instant Squeeze Builder is the software every online business needs to succeed. Your marketing plan needs a top quality email list and more and that’s exactly what this software does for you. The only thing you’ve got to do is plug in some basic information and let the software work magic for you. And with this produced result you will have the means of successfully squeezing your audience out without codes. Making your pages the most powerful and that means your bottom line money factor is going to be happy happy happy! Time for you to put the tactical squeeze on your niche target audience with this invaluable software tool. When you’re serious about success you’ve got to jump in with both feet and just do it. 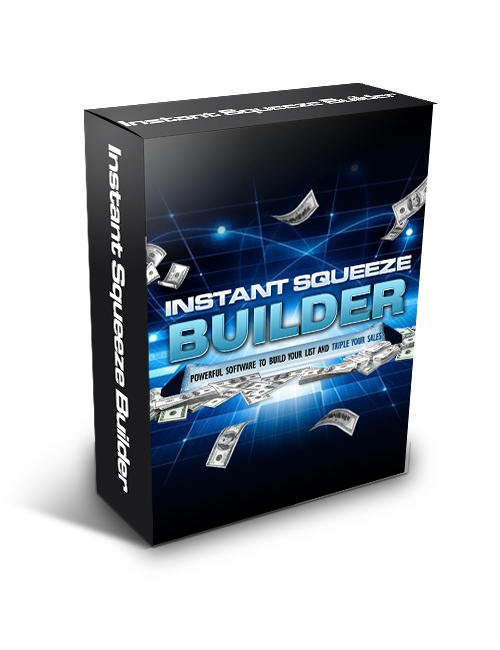 Instant Squeeze Builder is your solution to building your audience strong. The key to winning the money game. Grab it today and get started.